1833 Compromise Tariff: Andrew Jackson was the 7th American President who served in office from March 4, 1829 to March 4, 1837. One of the important events during his presidency was the Compromise Tariff of 1833 that ended the Nullification Crisis. Summary and definition: The Compromise Tariff of 1833 was proposed by Henry Clay with the cooperation of John C. Calhoun to defuse the gravity of the Nullification Crisis. The Compromise Tariff was passed by Congress in March 1833 and gradually lowered the tariff rates over the next 10 years until, in 1842, they would be as low as they were by the Tariff Act of 1816. The Compromise Tariff ended the Nullification Crisis. Compromise Tariff of 1833 for kids: What were the Protective Tariffs? What were the Protective Tariffs and why did they cause so much conflict? The Protective Tariffs were taxes placed on goods imported from foreign countries. The Protective Tariffs enabled the nation to raise money and at the same time protect a nation's goods from cheaper priced foreign items. The Tariff of 1816 placed a 20-25% tax on all foreign goods and was deemed acceptable by the North and South. The Tariff of 1824 raised duties still higher, with a 35% duty on imported iron, wool, cotton, and hemp. In 1828 the tariffs were raised to 50% and referred to as the Tariff of Abominations by the outraged states in the South who strongly resented the protection the increase in duties gave the North at the expense of the South. The protective tariffs meant that the South paid higher prices on goods produced by the North and the increased taxes on British imports made it difficult for Britain to pay for the cotton they imported from the South. John C. Calhoun, the vice president, had written the South Carolina Exposition objecting to the 1828 Tariff of Abominations, clarifying the Nullification Doctrine and fuelling the Nullification Crisis, contending that the tariff was unconstitutional.. The vice president resigned and the South Carolina legislature passed an Ordinance of Nullification declaring the Protective Tariffs null and void within the state borders of South Carolina. 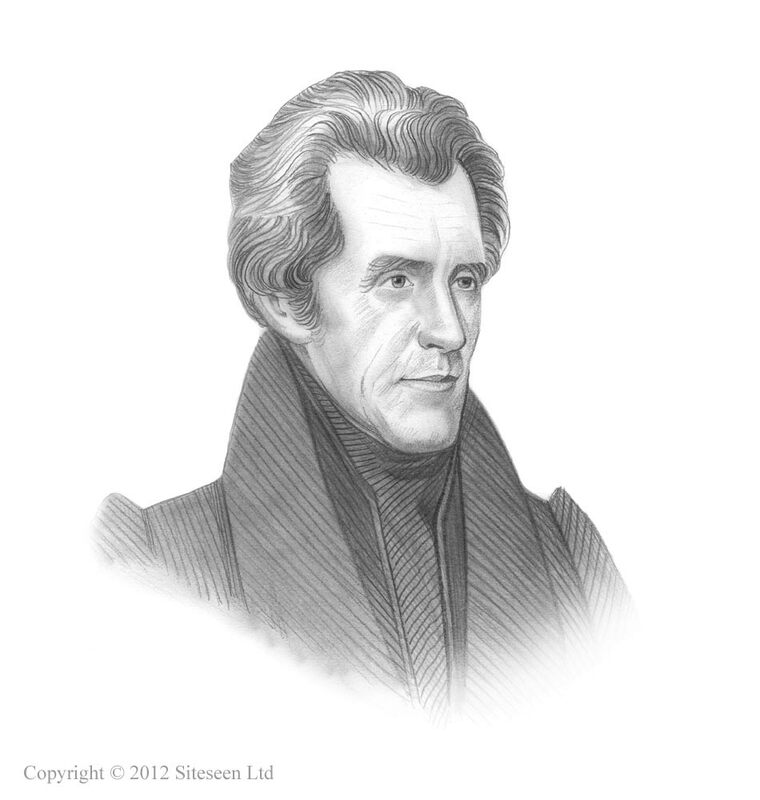 This 'treasonous act' resulted in President Jackson passing the 1833 Force Bill authorizing the use of military force against any state that resisted the tariff laws. What did the Compromise Tariff of 1833 do? This was the dire situation the nation was facing when the Compromise Tariff of 1833 was proposed by Henry Clay. The Compromise Tariff of 1833 gradually lowered the protective tariff rates over the next 10 years until, in 1842, they would be as low as they were by the Tariff Act of 1816. The Compromise Tariff ended the Nullification Crisis. Who wrote the Compromise Tariff of 1833? John C. Calhoun cooperated with Henry Clay to drive a Compromise Tariff through Congress. The introduction of protective tariffs had played a vital part in the economic plan for the nation advocated in 'Henry Clay's American System'. The Compromise Tariff proposed by Henry Clay was passed by Congress in March 1833. The Compromise Tariff made it impossible to reduce duties and therefore the money surplus that occurred during during the Bank War.